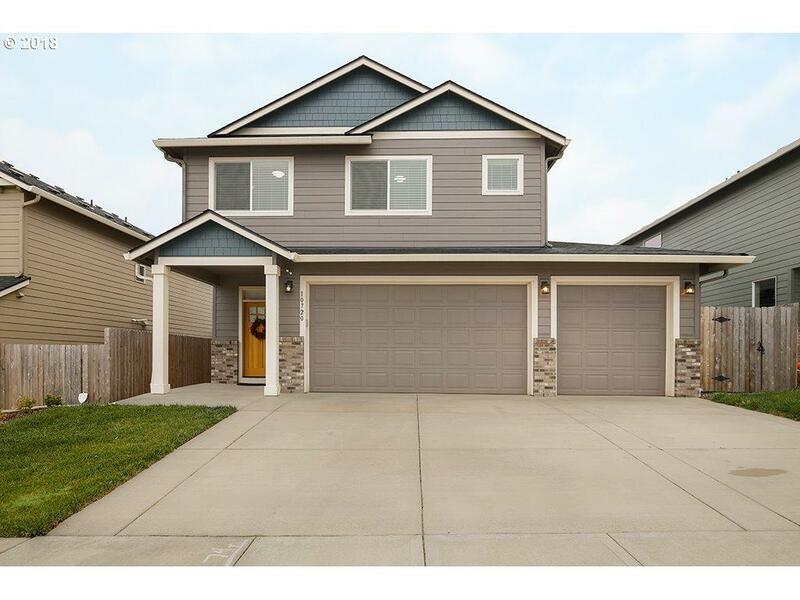 Beautiful newer home with great room floor plan! Features include laminate floors on main, stone gas fireplace, shutters, gorgeous kitchen cabinets with 8 ft island, SS appliances, gas range, pantry and quartz counter tops. Upstairs is the laundry room, spacious bedrooms including vaulted master w/walk-in closet, dual vanity, tiled glass shower. Private fenced backyard w/covered patio overlooking field. 3 car garage, A/C, no HOA.